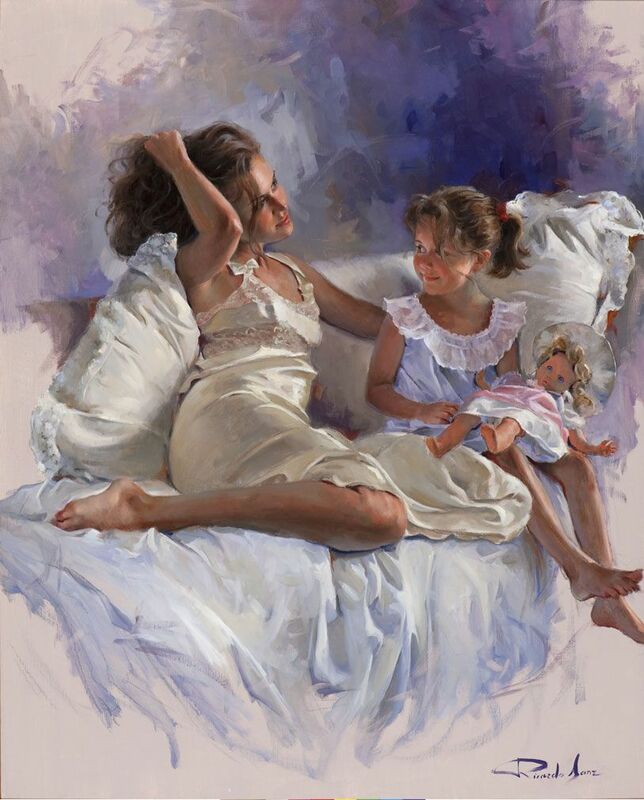 Spanish painter Ricardo Sanz is a figurative contemporary artist. His artistic vocation was forged thanks to his grandfather, who owned the gallery of art La Perfecta, where he met the great artists of painting: Sorolla ⎆, Zuloaga, Vázquez Díaz, etc. 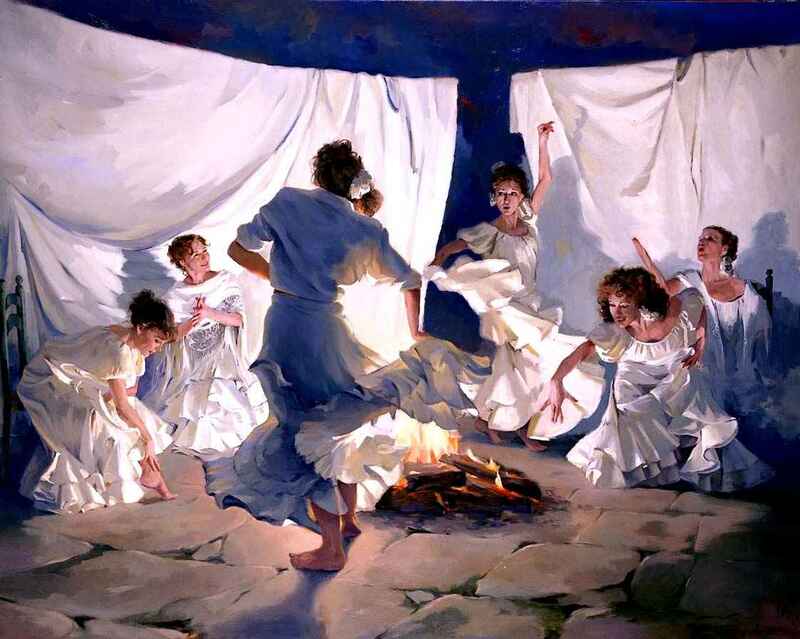 At the age of 14 he started his education as a painter with the master José Camps, combining this with his studies in History of Art until he graduated from the University of Deusto in Madrid. 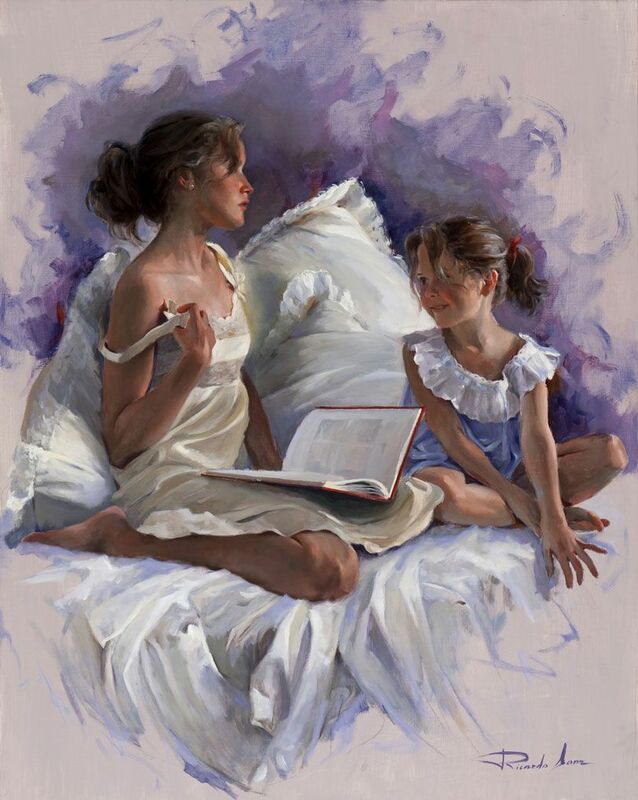 He continues studying with important contemporary artists in France and Italy. 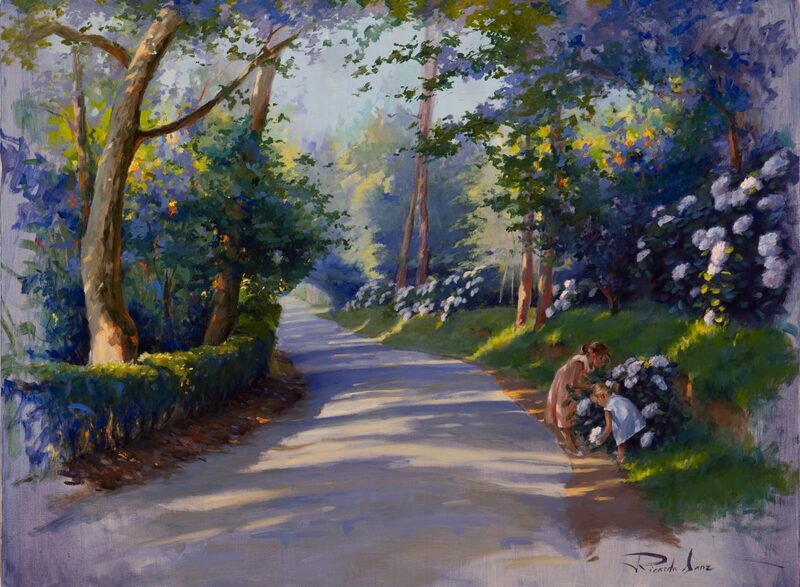 He finally settled in Madrid, where he lives and has his atelier since 1980. 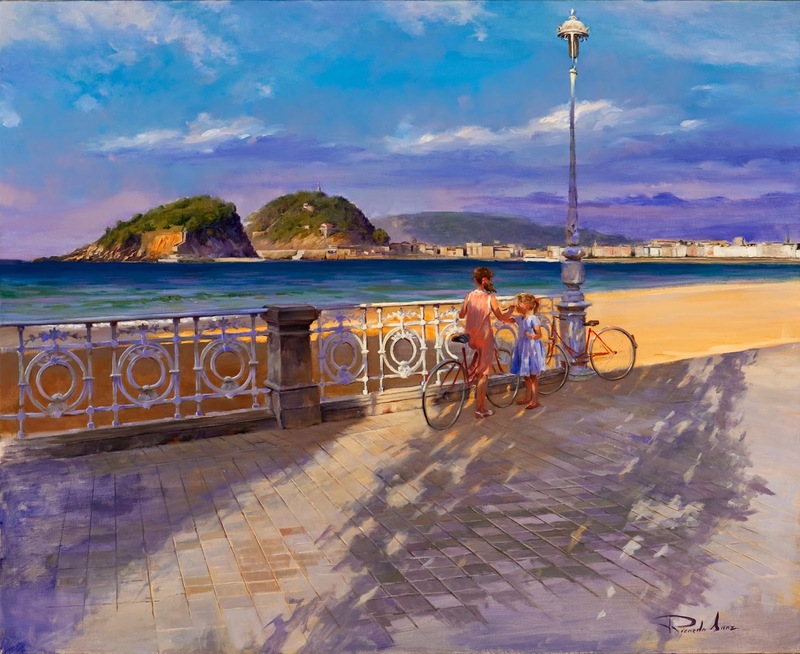 He has always kept a close link to San Sebastian, his home town, where he spends long periods of time. His work is the result of many influences. His first paintings are inspired by the Basque and French impressionists ⎆, in regards to the range of subtle colours and greys that are present in the humid atmosphere of his city. 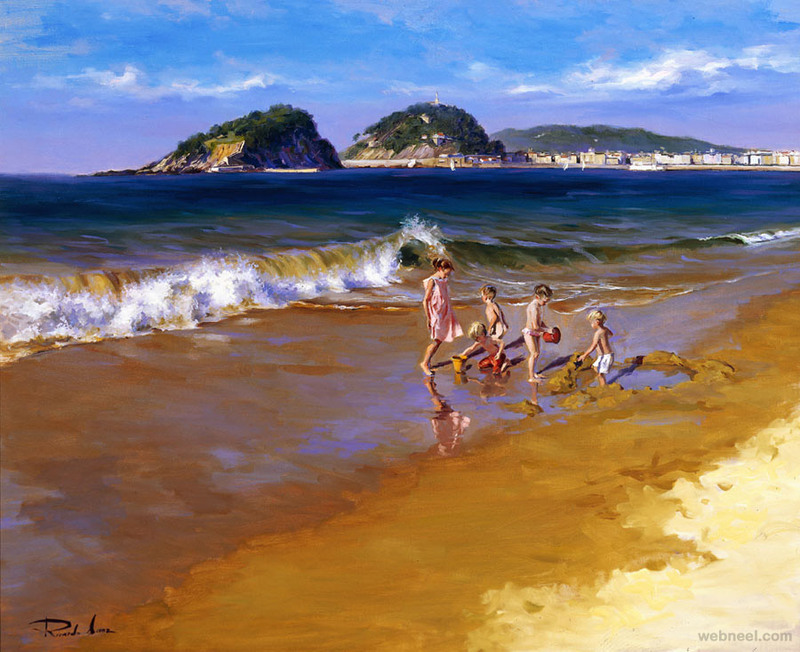 Ricardo Sanz’s paintings reflect an excellent command of drawing, light and colour, are idealized and beautiful. 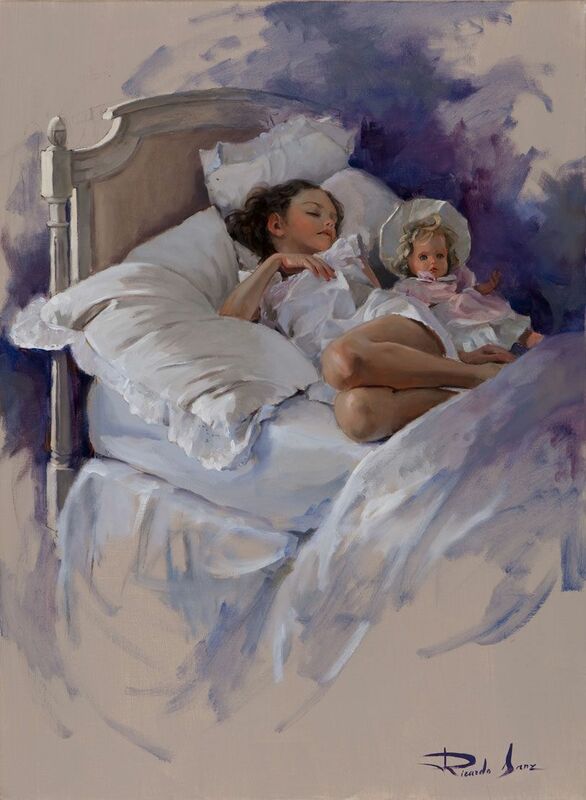 He manages to bring out the best of each model and embody it on the canvas. His portraits, of present modernity, have great knowledge and pictorial tradition. 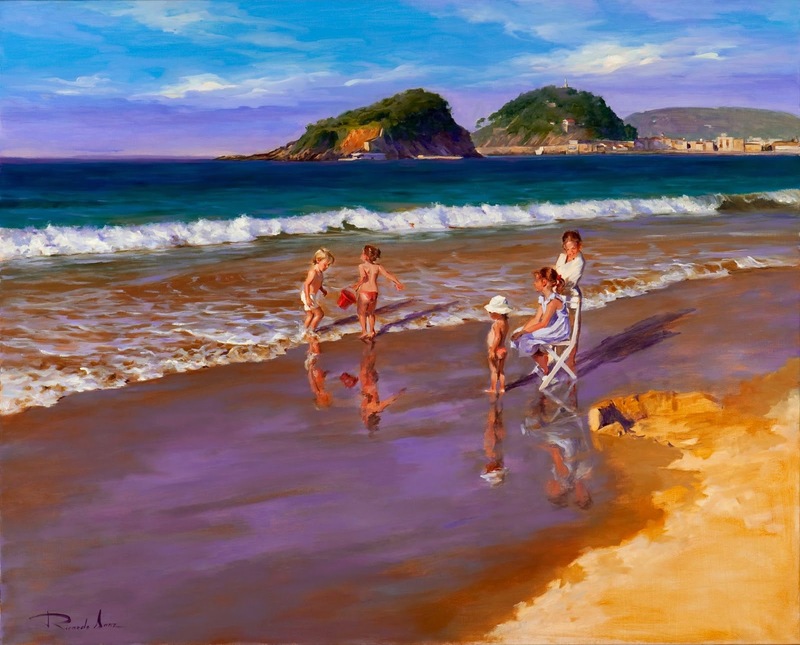 Ricardo Sanz is considered one of the greatest portraitists of the moment. 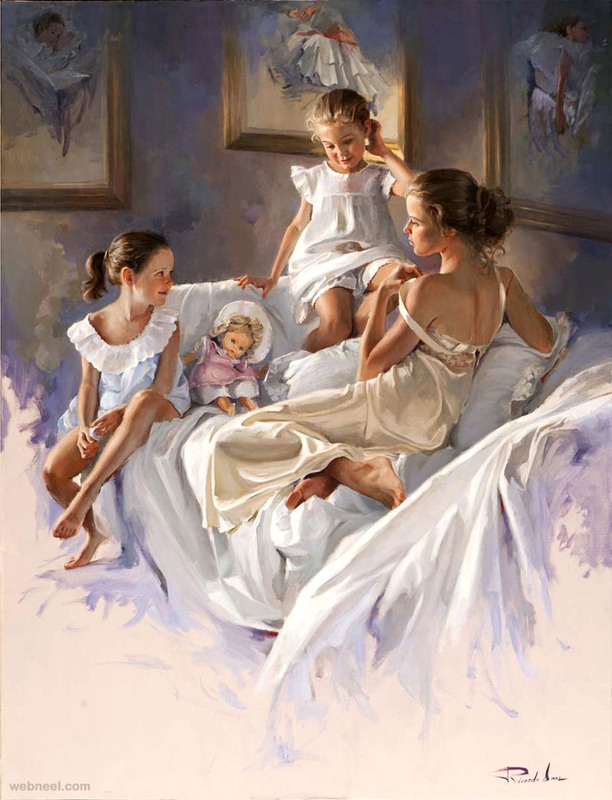 Aristocrats, royalty, personalities of politics or culture request his work because they feel attracted by his view of the model from respect and elegance. 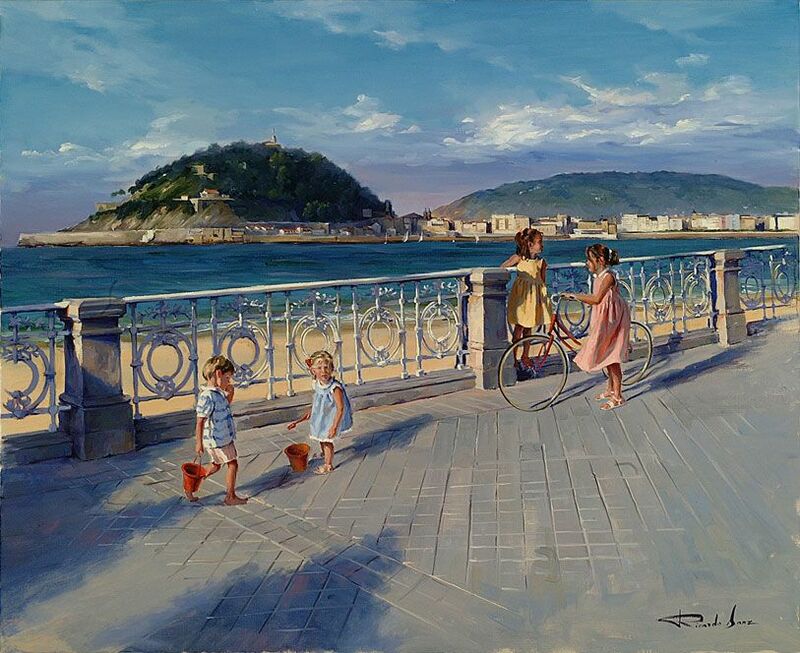 Among others, he has painted pictures for the Royal Family and he has even been the first official portraitist of the Prince and Princess of Asturias (current King Philip VI and Queen Letizia). 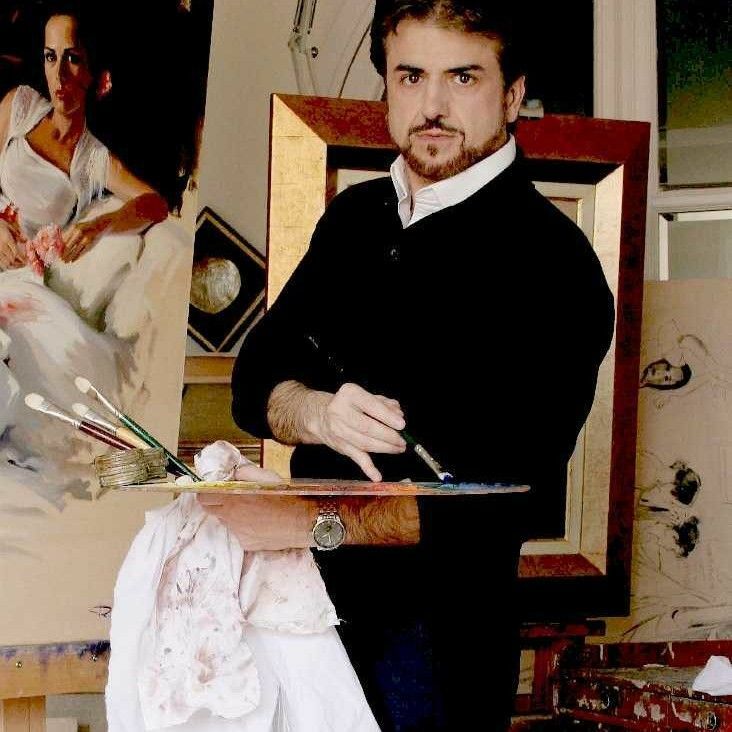 Ricardo Sanz has won important prizes ⎆ like Premio Nacional de Cultura Viva, Prize ⎆ by the Fundación Goya, or the Paul Harris Medal granted by the International Rotary Organization. 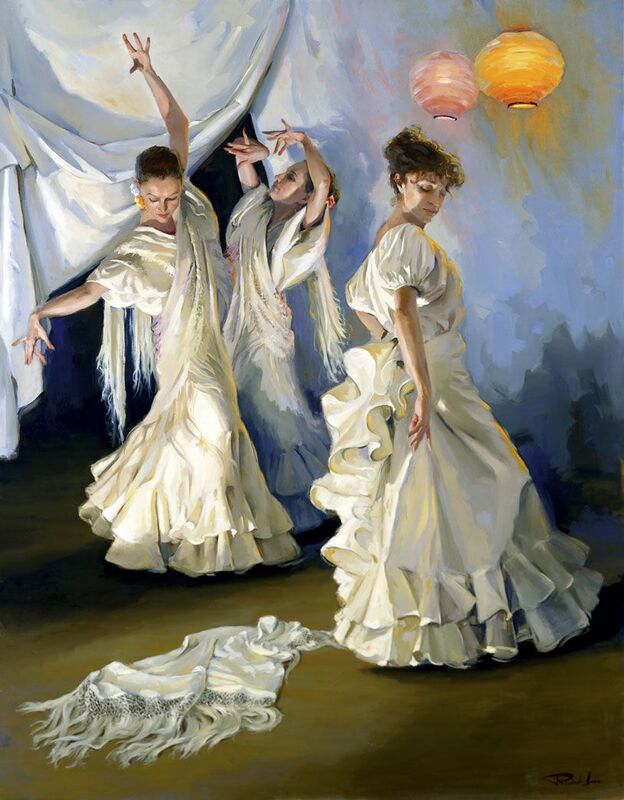 He has extensively exhibited in Spain and abroad. Nowadays with the gallery Santiago Echeberría, with the gallery Sokoa, both in Madrid, and also with the gallery Echeberría in San Sebastian.